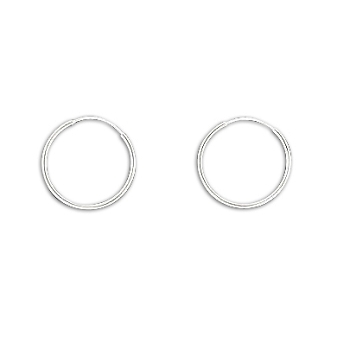 Pair(2 individual)of new .925 Sterling Silver Endless Hoop Earrings. The hoop has a 18mm (11/16") diameter and 1mm thick. An earring pair weighs .7 grams. All measurements are approximate.